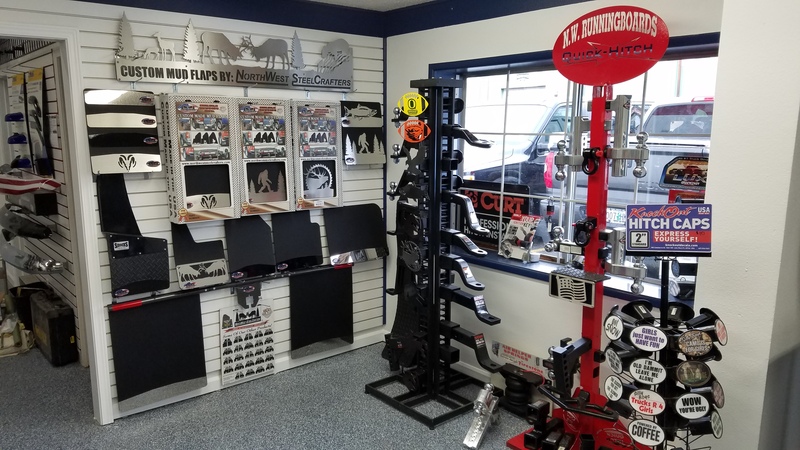 NW Running Boards has been doing mudflaps the right way since the beginning of time. If it possible to put a mud flap on your vehicle we can make it happen. NW Steel Crafters is a local company here in Boring Oregon and we stock the polished Stainless Steel, Brushed Stainless Steel and black anchor weights. Want something custom? Make your business stand out with custom designed anchor weights with your company logo or name (additional fees apply). Whether you want a molded style mud flap or something custom with LINE-X we have you covered.